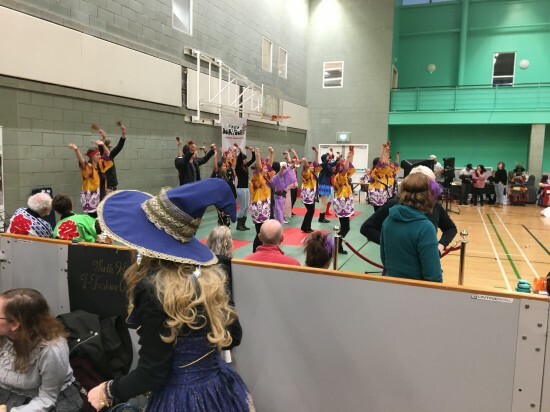 Doki Doki is yearly Japanese festival held in Manchester Sugden Sports Center that is open to people of all ages who have an interest in any aspects of Japanese culture. This includes the modern day cultural aspects of Japan which range from anime, cosplay and J-pop. It also highlights and enforces the culture throughout Japan's history, which ranges from food and traditional attire to martial arts. 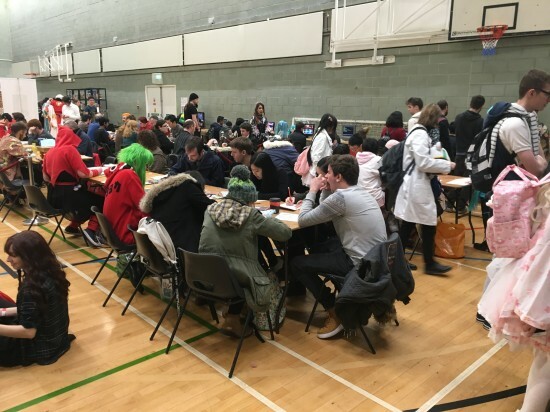 The event offered talks, panels, stalls and workshops on numerous aspects of Japanese culture. Guest speakers included British author of many anime reference books Helen McCarthy, curator of Japanese art Helena Gaudekova, lecturer and consultant of Japanese culture along with being responsible for forming the charity Aid For Japan Akemi Solloway. Visitors were able to attend panels for traditional Japanese culture and Japanese pop culture along with talks that cover Japanese etiquette within the household, in public, on public transport and in a work environment. Akemi Solloway provided a talk about Aid For Japan, a charity providing long-term support for orphans from the 2011 earthquake and tsunami that hit Tōhoku. A demonstration for Japanese calligraphy was also provided by Aid For Japan, where the group taught visitors how to do authentic Japanese calligraphy throughout the evening – with all donations going to the charity. Many other activities were distributed throughout the event to keep the public busy. 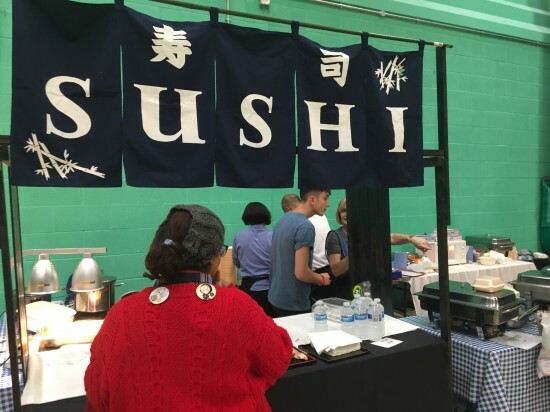 With plenty of food stands full of a wide variety of Japanese food, they had plenty of options such as chicken katsu curry, sushi and they also provided Japanese cakes and tea. The Japanese festival provided an opportunity for traders to bring their arts and crafts. 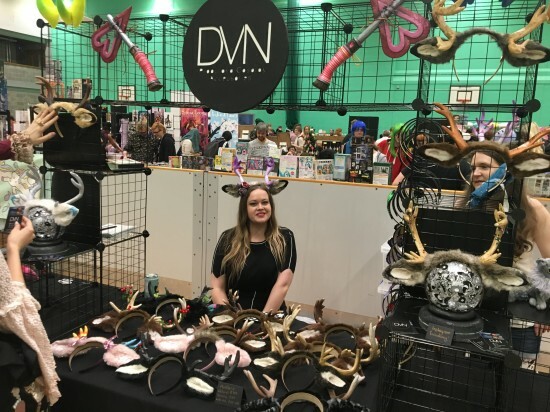 DVN Props & Cosplay Accessories said Doki Doki was only their second event holding a stand, with their first being MCM Manchester, where they managed to sell out and make a £1000 profit. Conventions such as Doki Doki provided creators like this a chance to meet their fans and advertise their craft to newcomers. Cosplay was another big aspect of the event. Cosplayer Robert Holyoake (cravendalebeast), who attends multiple conventions throughout the year and competes in the contests and masquerades, said a big reason for attending conventions and events such as these were for cosplay. He said it was back in Doki Doki 2016 where his girlfriend first convinced him to go in cosplay. 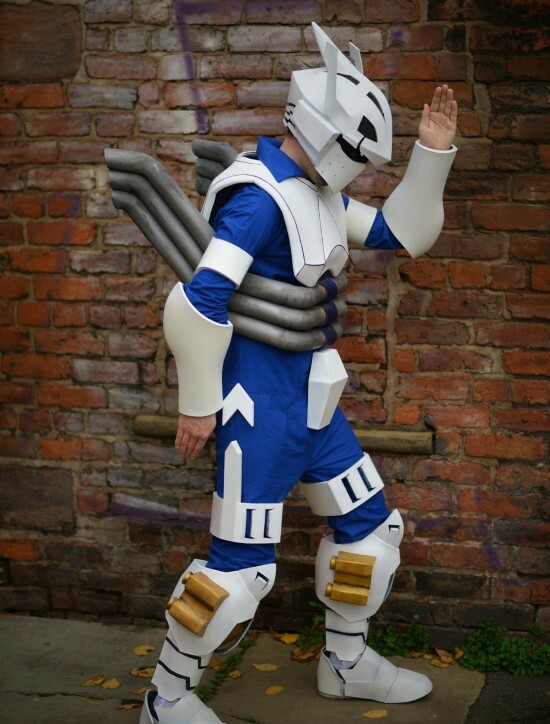 His cosplay received a very positive reception by other con-goers which drove him to continue and excel in the endeavour. Cosplay is a creative hobby but it can also be an expensive one. Robert Holyoake saying he could spend more than £100 just on material. However, he added, “The positive reception is always a good motivator”.